Meet Rosalie, our amazing patient of the month! 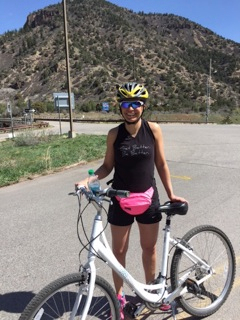 Going through chronic pain and surgery can take it's toll on your body, mind and spirit; but this busy mom and athlete was determined to make a full recovery. Even while she might be cursing Dr. Mayes as she gasped for air during her exercise program, she always had a smile, laugh and the determination to keep going! We are so excited to see Rosalie get back to the things she loves, but we will definitely miss her fun, feisty and kind-hearted presence in the clinic. Rosalie is also a successful realtor! If you need someone great to work with while buying/selling, then Click hereto see her info. What brought you to Iron Physical Therapy? Unfortunately, my knee surgery brought me to PT. Prior to my surgery I had been experiencing knee pain for about a year which resulted in my injury. How have you benefitted from PT? Dr. Mayes has encouraged me to realize the importance of committing to a healthy and fit regimen that has ultimately changed my life. I'm eating healthy, working out, and thinking more positively. What would you say to someone with the same injury? Exercise is not an option (especially after the 12th anniversary of my 30th birthday! LOL) I have never felt stronger physically and mentally! What are you most excited about getting back to? 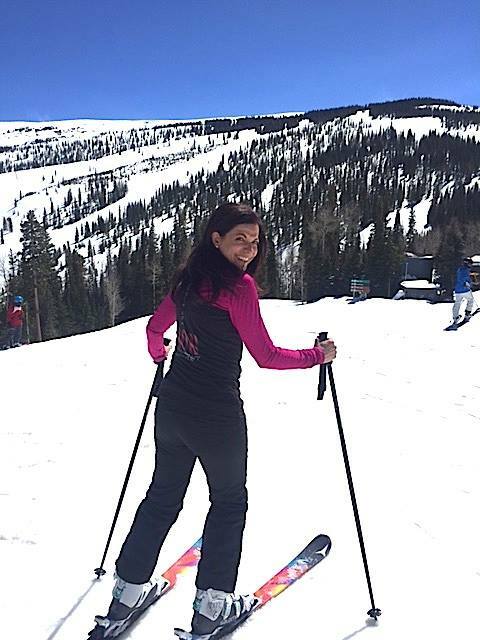 I am looking forward to continuing my new regimen and I am especially excited about skiing and biking with my family! Why This 40+ Mom Tried CrossFit!